Meet Lead Buyer’s Specialist, Jordyn Rosetti-Favret. Jordyn was born and raised on the MS Gulf Coast. She attended St. John High School in Gulfport and then went on to obtain a Bachelor of Business Administration from the University of Mississippi. Jordyn has been in the Real Estate world since 2002, when she obtained her Appraisal License. She worked in the commercial division as a staff appraiser before obtaining her Sales License in 2004. She has been very active in her community. She is a lifetime member of The Junior Auxiliary of Gulfport. 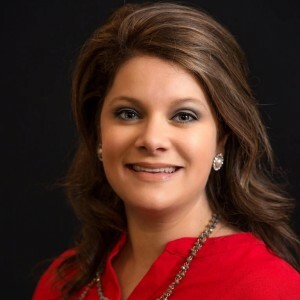 She is also an active member of the Mississippi Board of Realtors, Gulf Coast Association of Realtors, MS Coast Chamber of Commerce, and St. James Catholic Church. She has been selling residential and commercial real estate for over 12 years. Jordyn has been recognized as a Top Producer both locally and regionally in her career. When Jordyn is not showing property, she enjoys playing tennis and traveling with her family. She is the mother of three children, Chandler Grace, Bennett and Cannon.